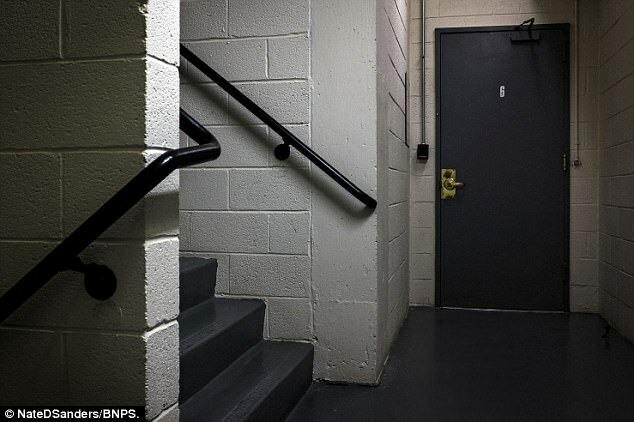 Home News Looking for safe hands: Lock picked by burglars during infamous Watergate break-in that resulted in President Richard Nixon's downfall goes to auction with bids starting at $50,000 . Looking for safe hands: Lock picked by burglars during infamous Watergate break-in that resulted in President Richard Nixon's downfall goes to auction with bids starting at $50,000 . 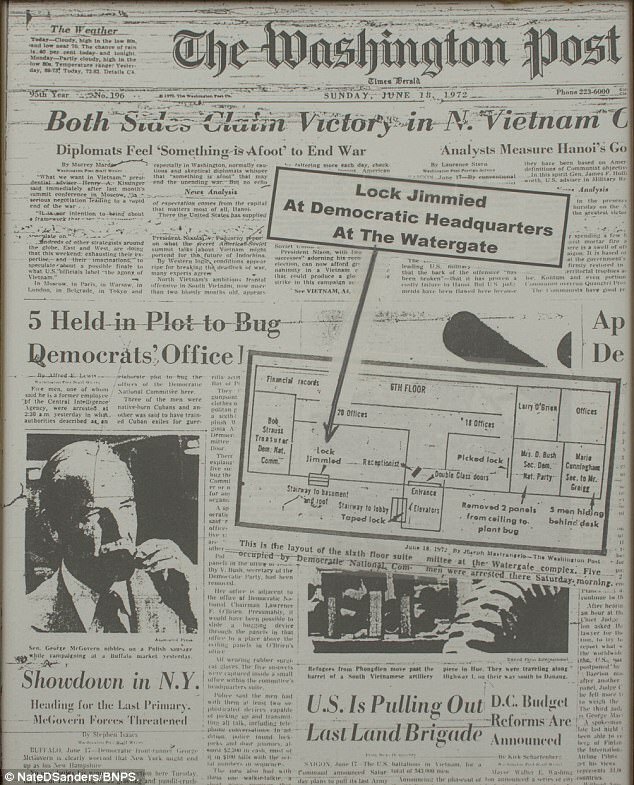 The lock burglars picked to break into the Democratic National Committee's headquarters at the Watergate Complex in 1972 will be auctioned off on December 14. 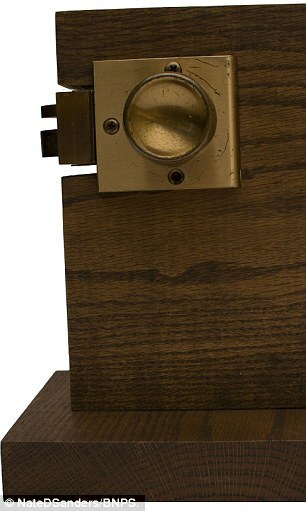 Bidding stars at a rather steep $50,000 for the lock, which holds unique importance in one of the most infamous political scandals in United States history. 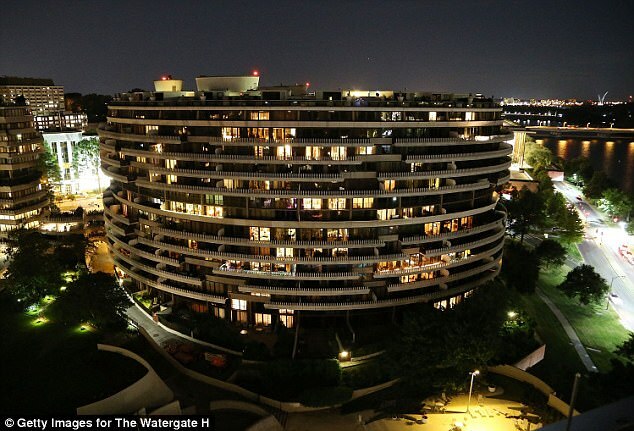 Richard Nixon's presidential administration's attempt to cover up the break-in at the Washington D.C. complex is, of course, now known as the 'Watergate Scandal'. Nixon, who once famously tried to claim that a president's actions cannot be illegal, resigned in 1974 due to the consequent fallout. Since Watergate, -gate has been attached as a suffix to multiple political scandals around the world. 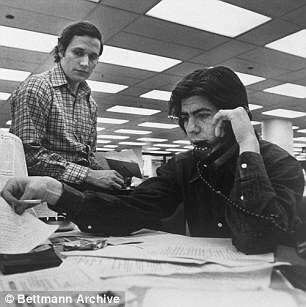 Bob Woodward and Carl Bernstein's reporting on the scandal would later be immortalized by their book, which was adapted into a film, called All the President's Men. 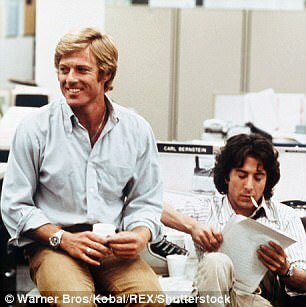 The Oscar-winning film starred Robert Redford as Woodward and Dustin Hoffman as Bernstein. 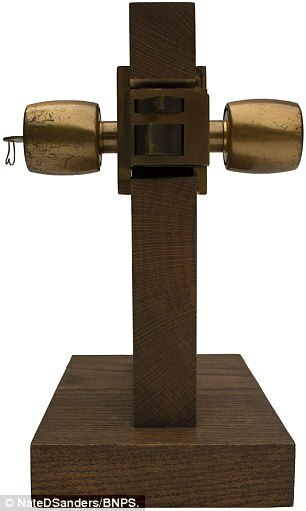 The lock available for auction is a four-pound brass lock from stairwell #2 at the Watergate Complex. On June 17, 1972, five burglars tampered with the lock in an effort to break into and vandalize the DNC's headquarters. The following morning, security guard Frank Willis alerted the police to a possible break-in, which led to the two-year investigation into what exactly happened that night. The five burglars - Virgilio Gonzalez, Bernard Barker, James McCord, Eugenio Martínez and Frank Sturgis - were all eventually tried and either convicted of a crime or pleaded guilty. Implicated in recruiting them was G Gordon Liddy, who served as Financial Counsel for Nixon's Committee for the Re-Election of the President (mockingly abbreviated as CREEP). 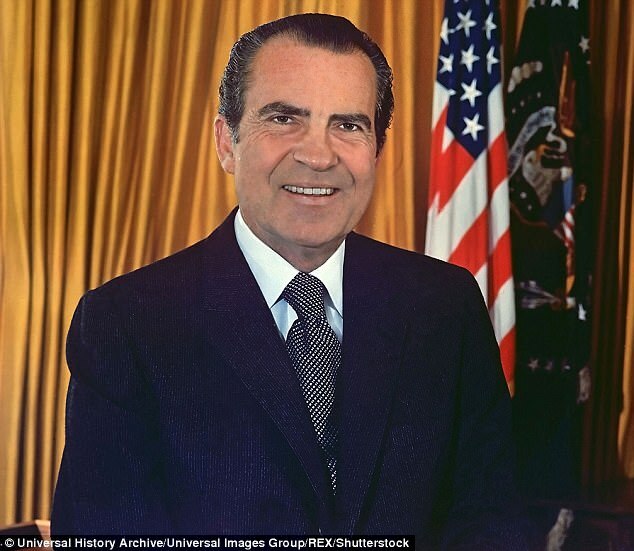 The Nixon administration sought to cover-up the incident. Meanwhile, investigators found evidence of other tactics of the 37th president's administration such as bugging opponents and illegal investigations of activist groups. By the time the dust had settled, United States Attorney General John Mitchell, White House Chief of Staff H.R. Haldeman and Nixon had resigned. 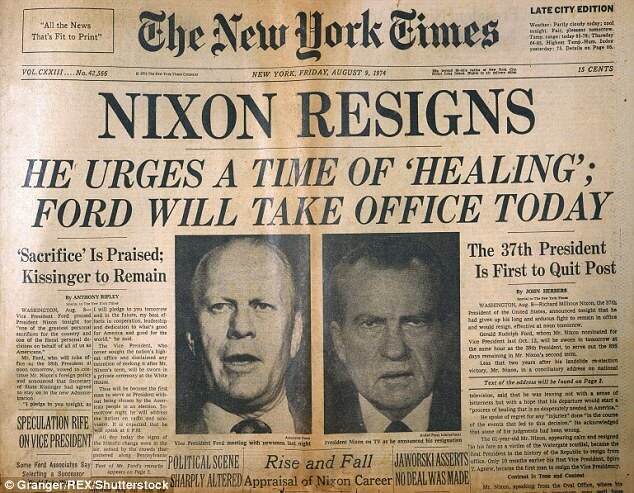 Nixon remains the only president to resign from the position. Meanwhile, the Watergate Improvement Association requested a new lock, which was installed the day after the original one was broken. 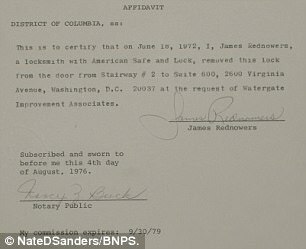 Locksmith James Rednowers installed the new lock and kept the original, tampered lock for a few years, until Watergate superintendent Jim Herrald requested it as a memento. Commenting on the lock, auction house owner Nate D. Sanders said: 'Americans’ fascination with Watergate has continued for nearly five decades. The auction winner will also receive two notarized letters of provenance from Rednowers and Herrald. 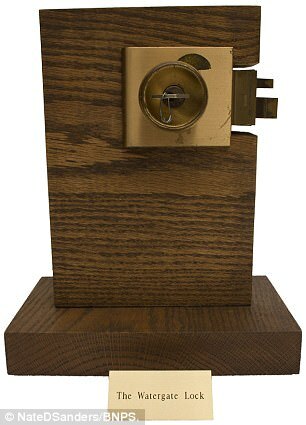 The lock, complete with original key and latch, is mounted on a wood display that is about a foot tall, 10 inches wide and seven inches deep.